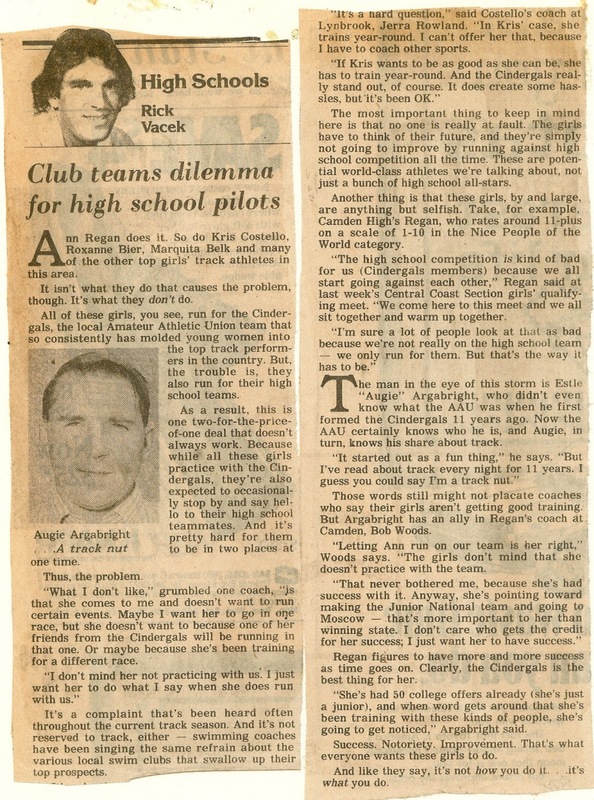 Didn't Augie Argabright become this super well-respected long time coach at San Jose State? 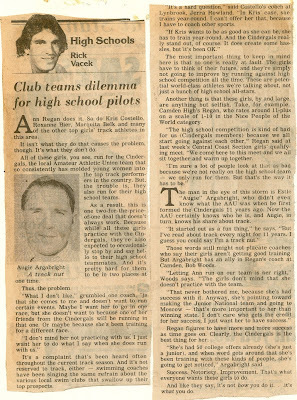 The girls he coached are still legendary names in CCS. A number of athletes who made the State Meet this year in the 800 from CCS went to different schools but were coached by the same person who is very well-respected and a great guy. What if you are a talented distance runner, your high school track coach only knows sprints so tells you to run 2-3 miles each day and there is no distance coach? Do you let your talent go to waste and start training for the 4x1 since your high school didn't hire a coach for your discipline or do you seek out someone who can help you achieve your goals?